"Two Worlds, One War. The Ultimate Battle Begins." Pathfinder tells the tale of a child that was raised by Native Americans but is of Norse blood. This child learned the way of the Indians and their culture while being normalized to their culture and the traditions. At one point in the movie the Norse people travel to where the boy is living in order to take the land for their own use. This entails enslaving/killing of the people that are there. The battle ensues and the few who remain go into hiding deep in a valley that is secluded from the remaining areas. The only path that leads to where the Indians fled to is a treacherous mountain path. The boy and one stray Indian woman are all that are left that can guide the Norseman to the valley. The journey begins and along the way the boy, who is now a grown man, takes the steps necessary to protect his new people and eradicate the Norseman. 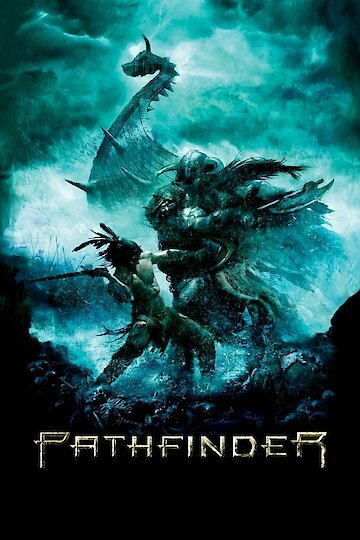 Pathfinder is currently available to watch and stream, buy on demand at Amazon, Vudu, Google Play, FandangoNow, iTunes, YouTube VOD online.